Before getting your hands dirty, you'll need to promise yourself that you'll spend more time relaxing – in the bathroom. Whether you plan on gutting the bathroom and starting from scratch or simply want a few changes, here are some tips on how to turn your current bathroom into a relaxing spa. You won’t want to get out of the tub! Upgrade to a whirlpool tub. Having a whirlpool tub is like having a hot tub in your bathroom. 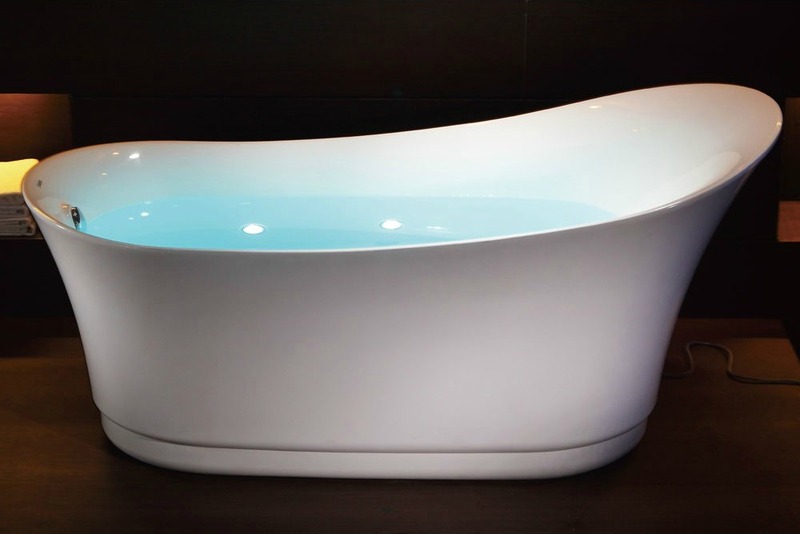 We have a large selection of whirlpool freestanding tubs. Install a vessel or above the counter sink. These sinks can give any bathroom a spa-like feel. Set up a bathroom lighting scheme. Use low-lights, light dimming switches, and candles throughout the room. Paint walls with natural and earthy tones and try to pick out bathroom furniture featuring dark colors and woods. Place speakers throughout the spa room so you can listen to your favorite music while soaking in the tub. "At Home Spa Bathroom" and this information will be quite helpful.